From Santa Barbara we headed for the desert and a dramatic increase in temperature. 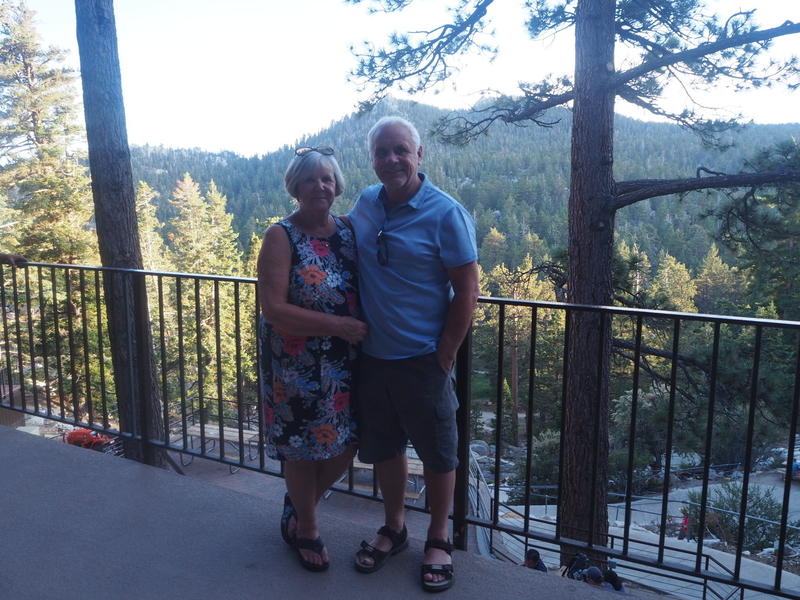 Our destination was Palm Springs – a city in the Sonoran Desert of Southern California. Palm Springs is known for its architecture, luxury hotels, restaurants and playing host to Coachella Festival. 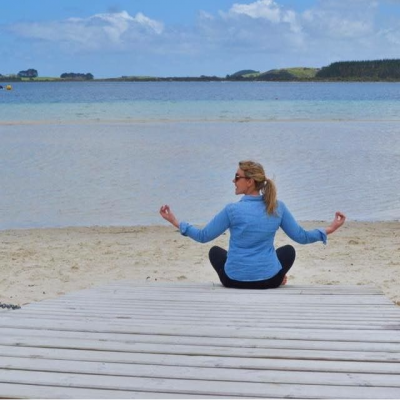 We decided this was the place where we needed a day to relax and just laze by the pool as we had been non stop since arriving in San Francisco. Also it was so hot that it would have been impossible to walk around sight seeing in the daytime. 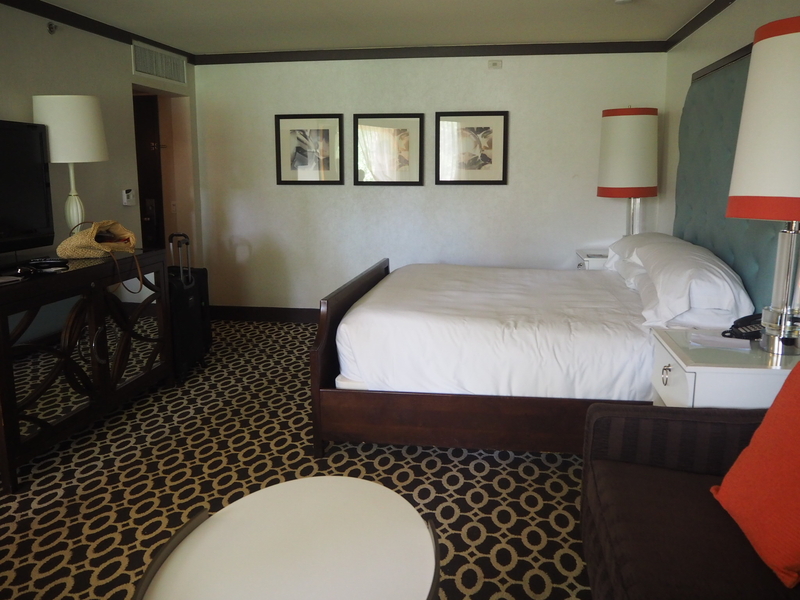 We stayed at The Riviera Palm Springs which had a great swimming pool and a large room with a king sized bed and a double sofa bed. 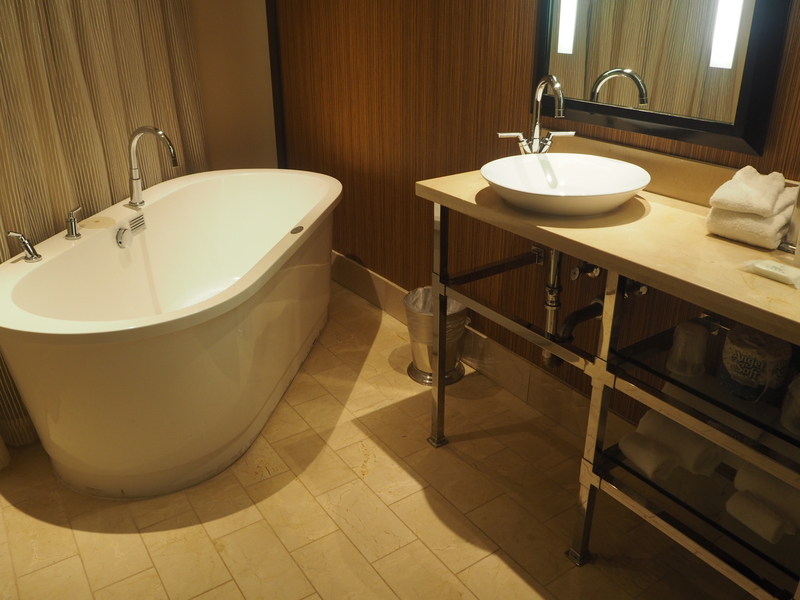 The best feature of the room in my opinion however was this amazing bath. 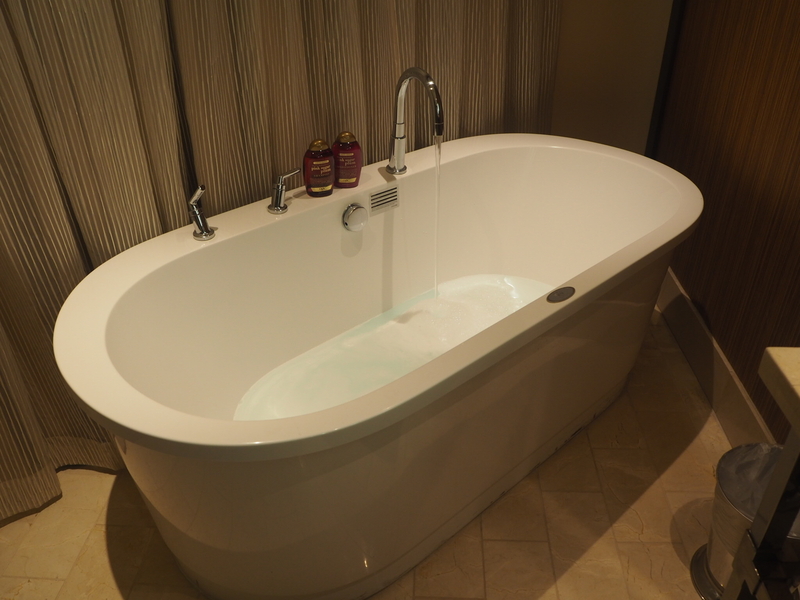 Even though the temperature was so high I couldn’t leave without having a bath. 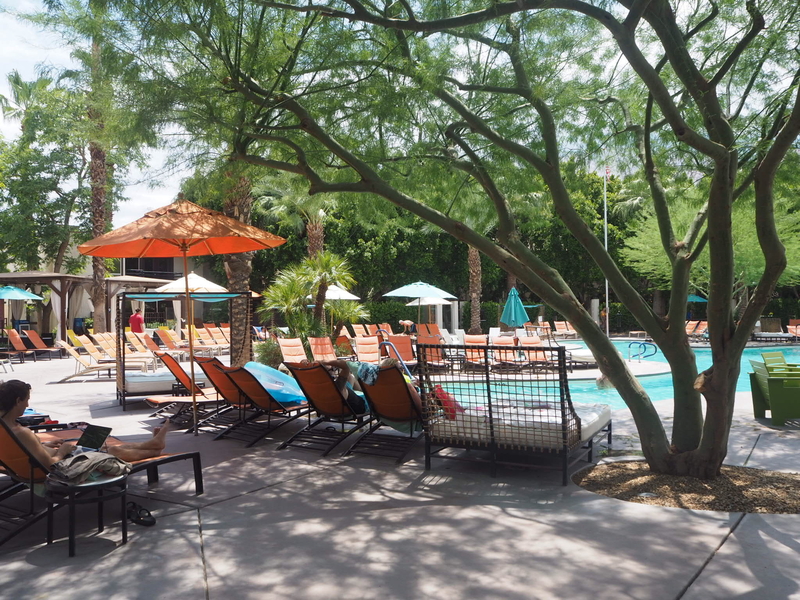 We spent the rest of the day swimming and relaxing by the pool and had lunch at the pool bar. 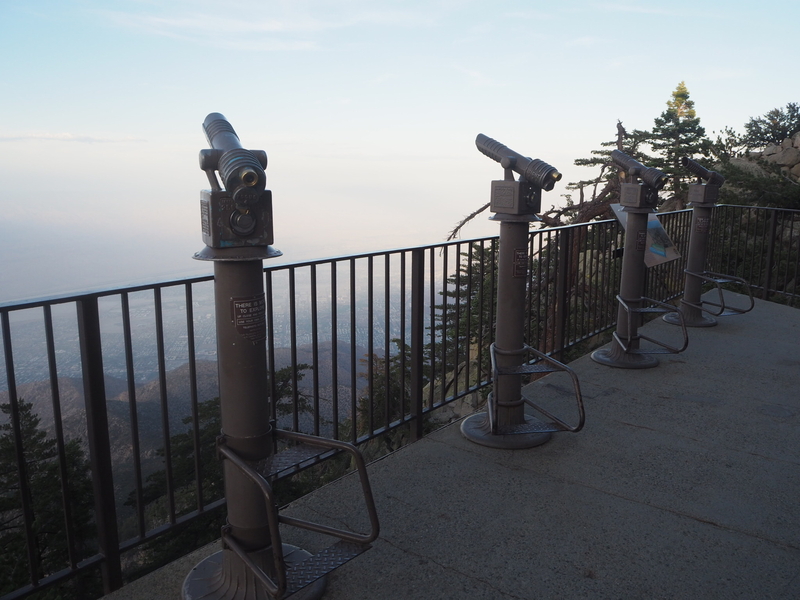 I had booked 7.30pm tickets for us to ride the Palm Springs Aerial Tramway. 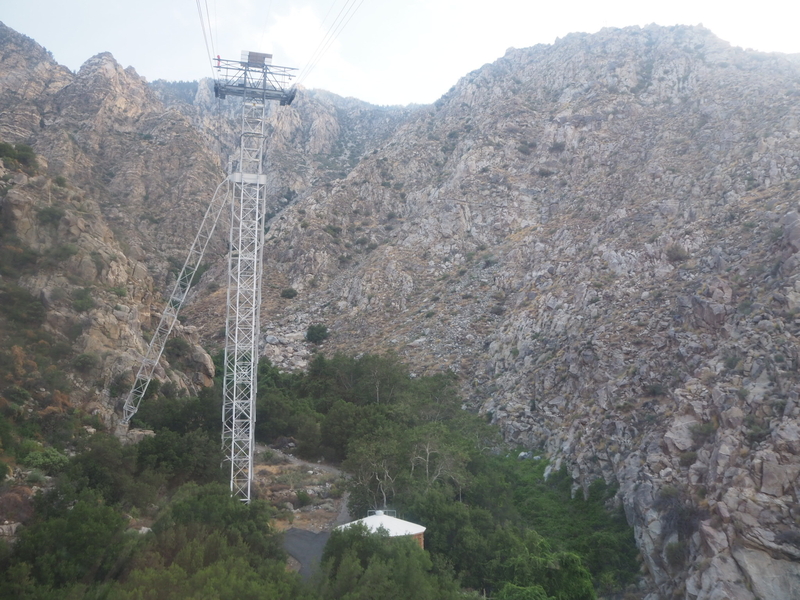 The largest aerial tramway in the world, it opened in September 1963 and also is the worlds largest rotating aerial tram car. 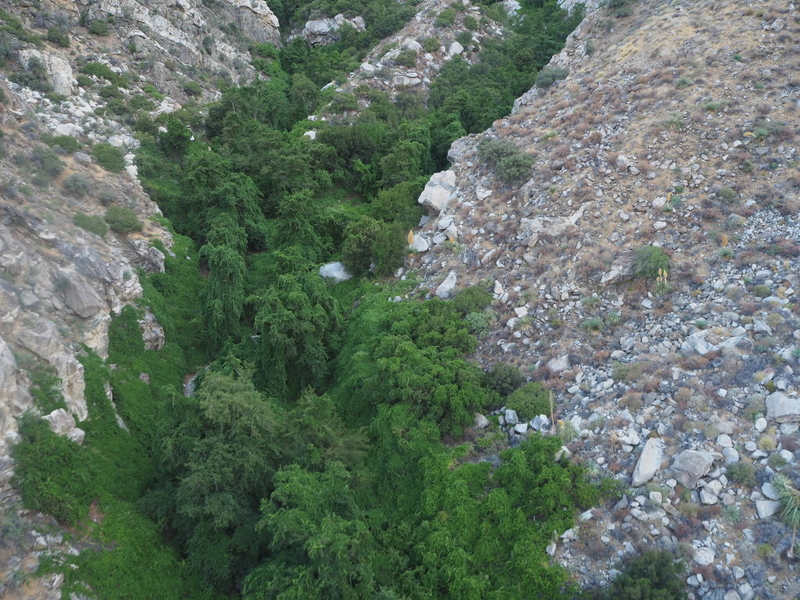 It travels over two and a half miles along the cliffs of Chino Canyon and the wilderness of Mount San Jacinto State Park. 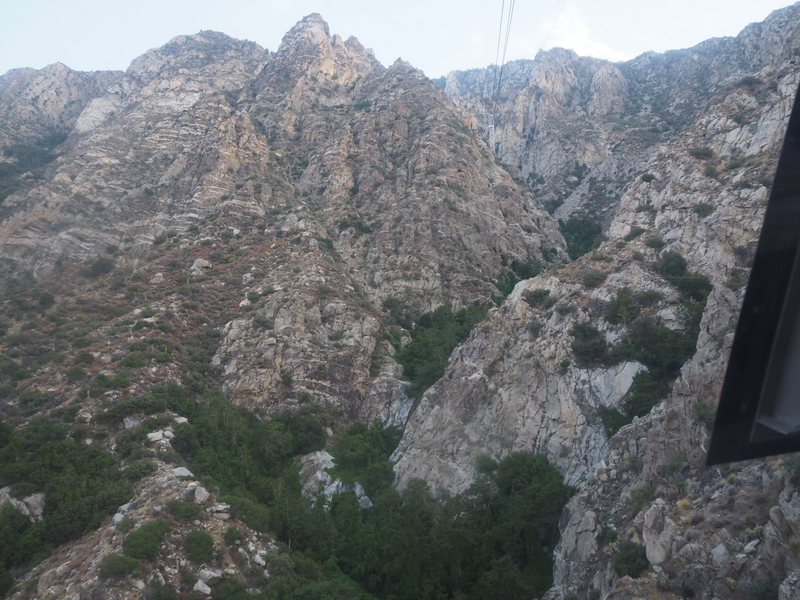 The journey takes approximately ten minutes and along the way the tram cars rotate slowly offering panoramic views of the valley floor below. 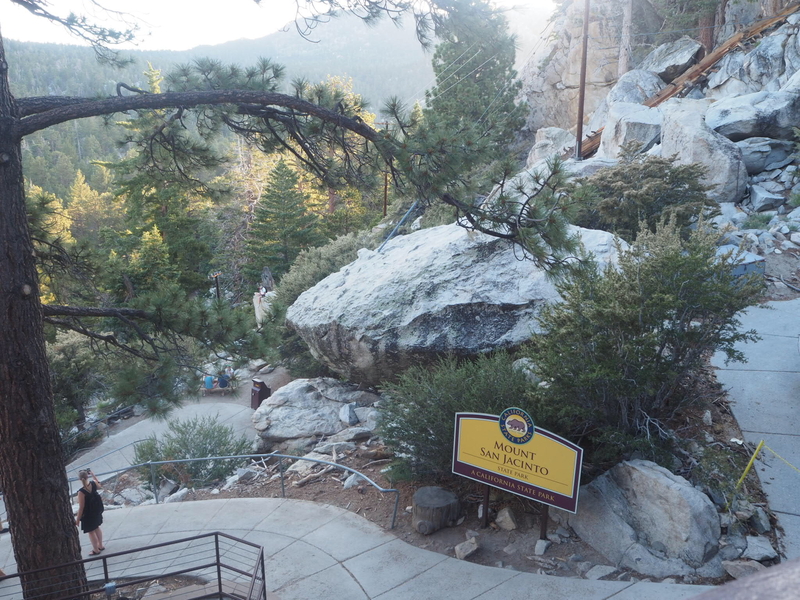 Once you reach the mountain station at the top at an elevation of 8,156 feet there are two restaurants, an observation deck, gift shop and over 50 miles of hiking trails. 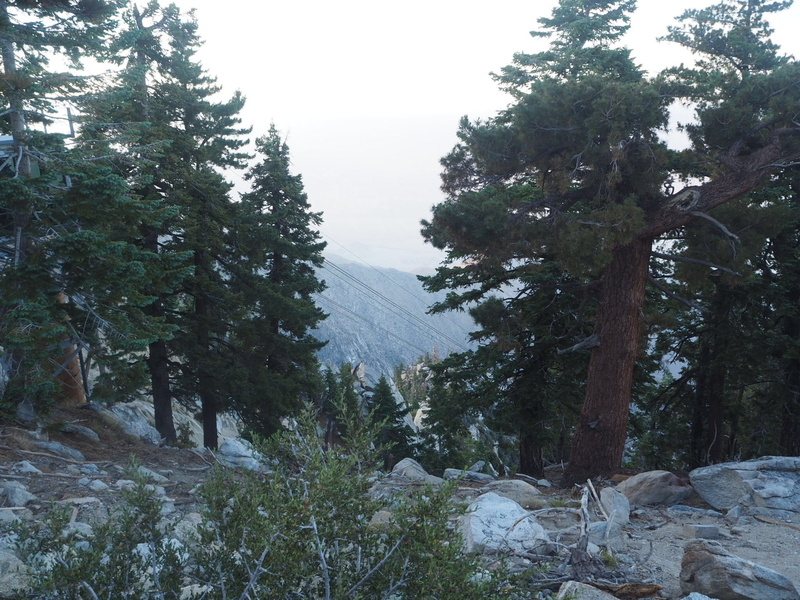 We spent some time wandering around the mountain station and taking in the views. 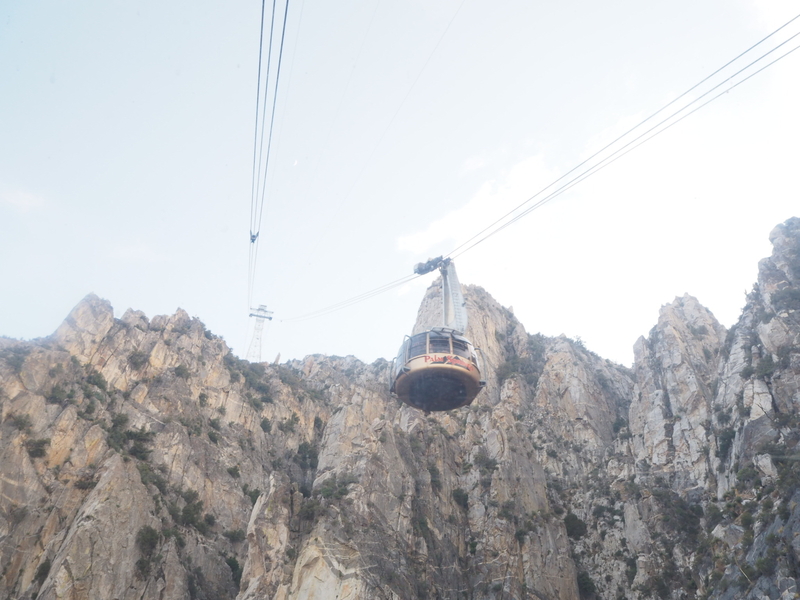 I didn’t actually know there was a tramway in Palm Springs until I started researching for the trip but it’s something I would recommend doing and I’m glad we got to experience it. 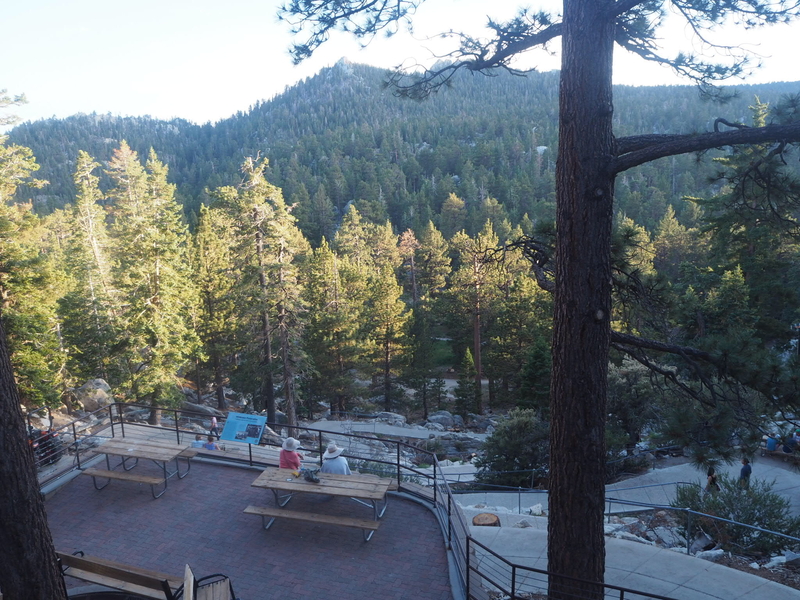 We rode the tramway back down and went for dinner at Kaiser Grill on Palm Canyon Drive before heading for ice cream at Ice Cream and Shoppe which was definitely worth a visit.